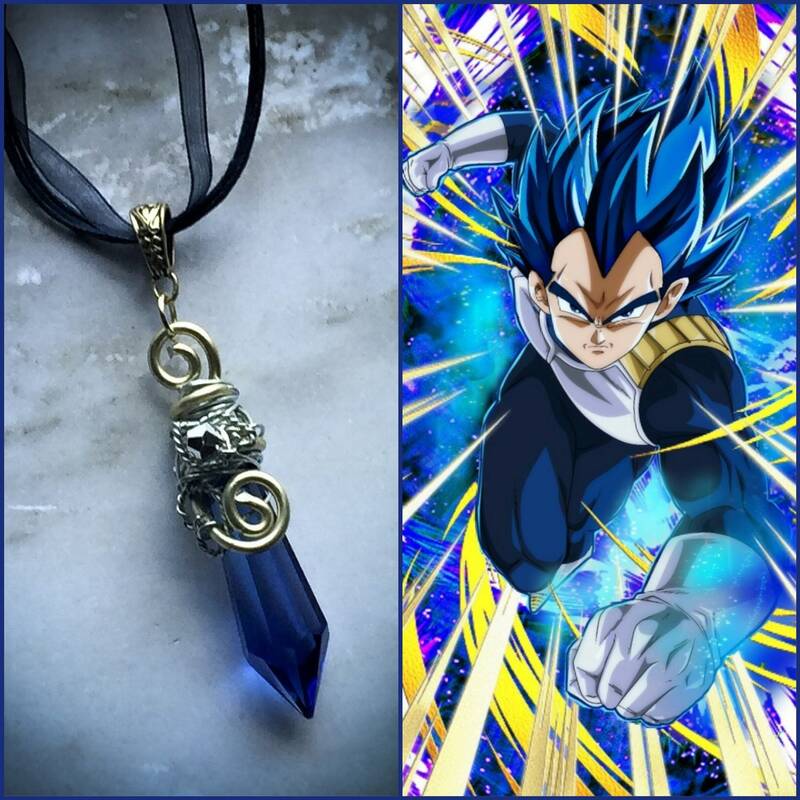 This is inspired by Vegeta's SSJ Blue Evolution form. 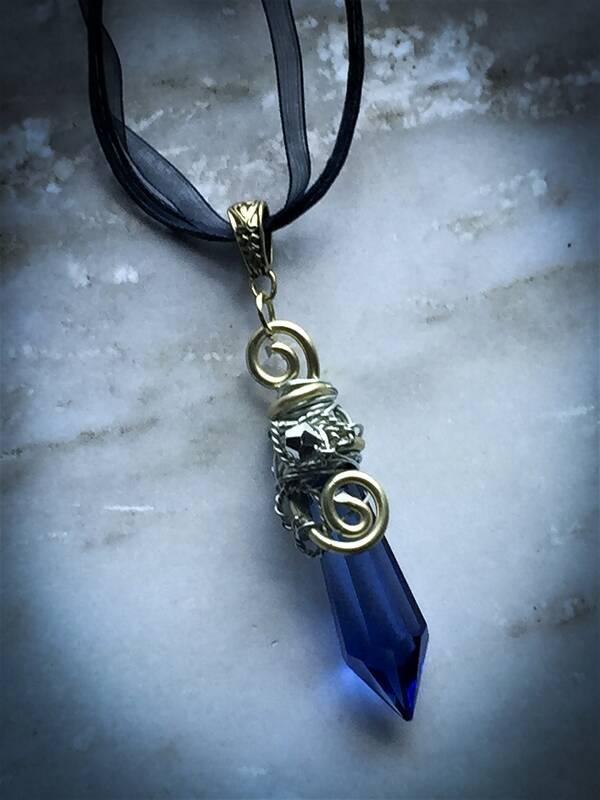 I took a royal blue crystal 2 1/4" in length and wrapped in layers of goldtone, and silver aluminum wire. It's embellished with a stunning silver crystal bead.